It will be an understatement to state that the ubiquitous death has crept into the Nigeria movie industry and in the past two years, have snatched many top actors. The Enugu sector of the industry too has had its fair share of deaths and early this year, two notable Nollywood practitioners died in the state. The first to bid bye to the mortal world was veteran actor, David Ihezie who died of acute arthritis. Two days after the death of Mr. Ihezie, who was a strong member of Enugu chapter of AGN, another actor from the same chapter, Isaac Onwuzu passed on. As you are reading this page, news reaching our desk has it that Nollywood has lost another actor from Enugu. We gathered that veteran actor, Pete Eneh who reportedly lost one of his legs through amputation due to infection in the leg some days back has passed away. 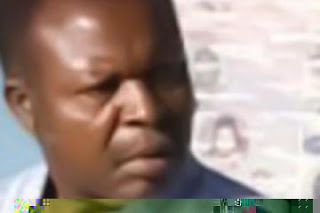 The actor died today, November 15th, 2012 at Park Lane Hospital in Enugu where he has been receiving treatment. The late Eneh was a member of Enugu Chapter of Actors’ Guild of Nigeria before his death.